How pretty is that graphic?! 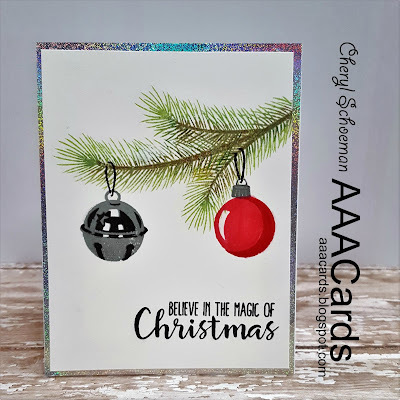 I love those ornaments and used it as inspiration for my card. I got this stamp set, Holiday Style from Sunny Studios, awhile ago but hadn't had a chance to use it. This stamp set looks so pretty but I wasn't sure how hard it would be to use. I used my misti and it wasn't hard at all :) I started with the branch and played around with a few different colors of brown and green. I used my stamp pad to swipe brown along the branch portion and then stamped. Then I used a darker green just off the branch but not all the way to the end of the needles and finished off by using a light green on the edges. Its not technically a layering stamp but I wanted to give it a little more dimension. 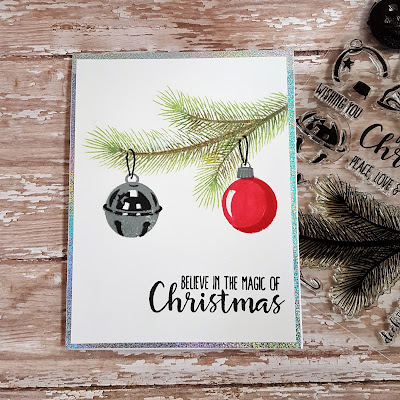 The ornaments are layering stamps and look so pretty with minimal effort. The paper in the background is part of a holographic design paper pad from DCWV. This paper is so pretty and since most of it was going to be covered, I cut it into a frame so that I could reuse the interior part for another project. 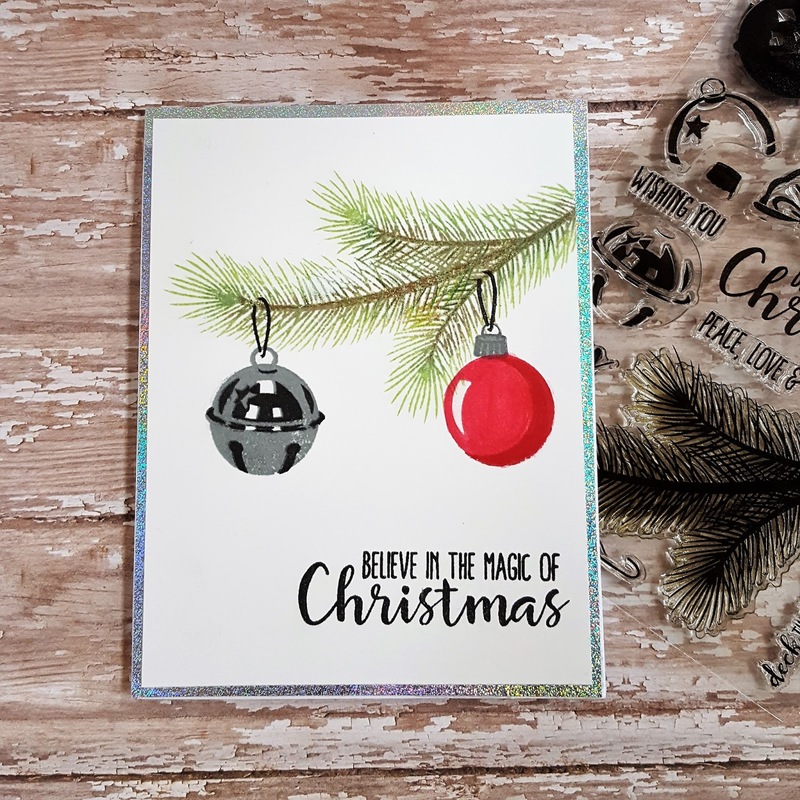 Those baubles both have a superb 3D look, but the bell is absolutely amazing! Fab card. 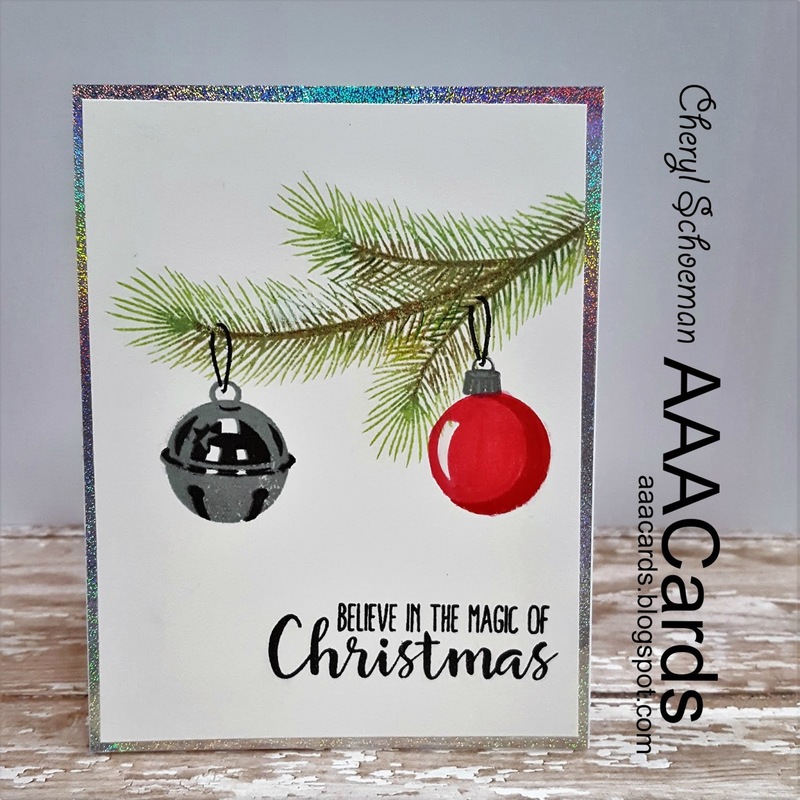 Love this card, Cheryl! Isn't the stamp set fabulous? I seriously think it's the best layering set I own! So effective! Wow.. this is gorgeous. and it looks so real.. I wish I knew how to do this. Is it hard to do? You're welcome. Gosh it just looks difficult. I'm going to have to see if I can purchase this stamp set. Looks like fun. It looks so real. Verry stumming Motiv.